Candles brighten up your space by adding extra light and by creating a warm, inviting ambiance. You can never ignore candles in your house since they act as a source of light in case when power goes off. To add subtle fragrance to a room, look for medium candle holder and you will be impressed. The good thing about the resin candle handlers is that, they add a touch of beauty in any room. Making a house a very comfy home, the touch of beauty and tranquility is required. Our products are customized to the client’s needs and demands, thus meeting the demands of many customers who actually revisit for more services. As an additional advantage, we also offer resin candle holders at affordable charges. This is one of the reasons why clients will always reach out to our products, given that our prices are quite competitive as compared to other sellers. 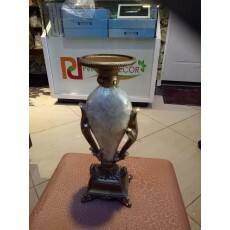 In Kenya, we can be ranked among the best resin candle holder sellers. Give your house that beautiful look you’ve been yearning for.